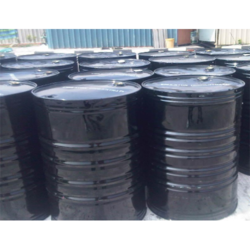 One can avail from us a quality approved assortment of Crumb Rubber Modified Bitumen. The Crumb Rubber Modified Bitumen is hydrocarbon binder obtained through physical and chemical interaction of crumb rubber. Moreover, these products are suitable for highways, junctions and various others. The Crum Rubber Modified Bitumen - CRMB 50 offered by us comes with modifiers like plastomeric thermoplastic, elastomeric thermoplastic, synthetic rubber latex, natural rubber and crum rubber. It is a high quality, hot applied Polymer or Crum Rubber modified Bitumen that is used for the purpose of road construction. TINNA CRUMB RUBBER MODIFIED BITUMEN is the best and most suitable for Indian Roads for all weather, highways, dense traffic roads, junctions, airfield runways, heavy duty and high traffic sea port roads etc. It is highly durable and dependable economical solution for raveling, undulation, rutting, bleeding, shoving and potholes solutions. Crumb Rubber Modified Bitumen is a special type of value added bitumen where the properties have been improved by blending with crumb rubber & special types of additives. AR Tar’s CRMB with enhanced physical properties is more resistant to temperature It meets the IS 15462:2004 specification & IRC SP-53-2002. 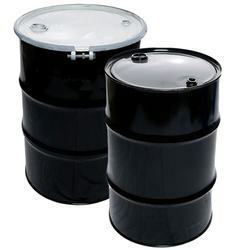 We are the leading manufacturer and supplier of Bitumen Emulsion, Modified Bitumen catering to Road sector. CRMB 50, 55, 60 ALL GRADES AS PER INDIAN STANDARDS ARE AVAILABLE. We are a highly acknowledged organization, engaged in presenting a remarkable range of Crumb Rubber Modified Bitumen. - Use Before: 12 Months From Date of Mfg. We manufacture our range of Rubber Modified Bitumen to meet the needs of high density corridors.